Plane, boat, bus, scooter, we've got information on how to get in and around. 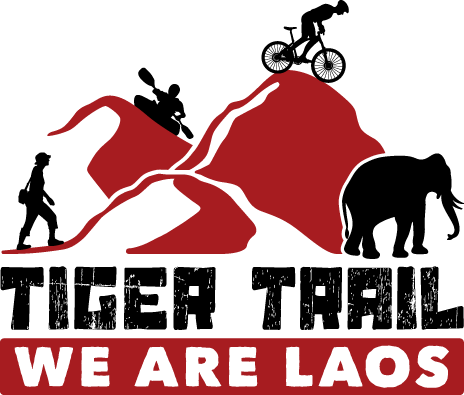 Lao Airlines is the national carrier and monopolises the majority of flights in and out of the country. There are also other carriers that now provide domestic flights including Air Asia, Silk Air, Bangkok Airways, Hong Kong Express, Vietnam Airlines. There are over a dozen international border crossings into Laos from Thailand, Vietnam, Cambodia and China. For those planning on visiting far southern Laos from Thailand, the Chong Mek/Vang Tao crossing is the most convenient. From Thailand a regular bus runs from Ubon Ratchathani to the border town of Chong Mek taking 1-1.5 hours. Sometimes you may be required to change buses as Phibun Mangsahan depending on the bus caught. Once deposited at Chong Mek it is a five-minute walk through each crossing and regular songthaeaws run from Vang Tao to Pakse, taking about one hour. Visa on arrival is available. With the construction of the Friendship Bridge II over the Mekong, all foreigners planning on travelling between Thailand and Laos at this crossing are required to use the bridge. Coming from Thailand, a minibus from Mukdahan takes you across the bridge itself, where tuk tuk drivers are always waiting to take you into Savannakhet. Lao visa on arrival is available. This crossing takes travellers from the riverfront of central Nakhon Phanom to the riverfront of central Tha Khaek. Boats run around a half dozen times a day, seven days a week. There is a small fee for the boat. Lao visas on arrival are available. From Laos, follow the sign that says Port off the main road, just pass the Manolom Guest House. A boat across the Mekong River costs 60B when full (seven to ten people). Arrive in the morning to catch the day tripping Lao crossing to shop in Thailand to be sure of a full boat, otherwise it's 360B per boat to cross. No Lao visa on arrival is available crossing to the Lao side from Thailand. A ferry crossing at 18:00 (in the dark) No Visa on arrival. Not commonly used. This is a fairly remote crossing with a good road, north to Pak Lai and onwards to Luang Prabang.. There is no Lao visa on arrival available here, nor is there much at all in the way of regular public transport. The Chiang Khong/Huay Xai crossing is one of the most popular for independent travellers entering Laos from Thailand. A visa on arrival is available. Lao officials also charge an additional fees of $1/40B fee. If you arrive at the weekend, it is called a 'weekend fee', if you arrive after 16:00, it is called an 'after hours fee' and if you arrive during a weekday before 16:00, it is called a 'processing fee'. After clearing customs, you proceed to the bus counter to purchase a bus ticket to drive across the friendship bridge. The bus journey is about 20 mins. When you have done your border formalities in Laos, you will need to take a songtaw to the city center of Huay Xai. It will take about 20 mins and cost around 20,000 Kip depending on group size. If you cross the border first thing in the morning, you will have plenty of time to catch a boat to Luang Prabang. This is the only overland option between Laos and Cambodia, making it quite a popular option. Visa on arrival is now available in both directions. While this border used to be quite complicated, the crossing is now straightforward with most people opting to do it by direct minibus. Daily buses leave daily from Dien Bien Phu to Muang Khua at 05:30. Lao visa on arrival is available at the border. For those coming from Vietnam, this crossing offers convenient access into Hua Phan province. It is a short ride from the border to Sam Neua. Convenient to the Lao town of Phonsavan and the large Vietnamese city of Vinh, this border a popular one for overland travellers. Coming from Vinh there are buses to Phonsavan. The trip is 403 km and should take about 12 hours. There are scheduled buses directly to Luang Prabang a total of 690 km, you need to check bus station for departure days. Lao visas on arrival are available. Connecting the Lao town of Lak Xao and the large Vietnamese city of Vinh, this border is the crossing of choice for many overland travellers. There are buses in both directions. This was the first land border between Laos and Vietnam to open for international travellers. It was for a long time the most popular, but many now opt for the more northern crossing near Lak Xao instead. This crossing is convenient for Hue in Vietnam and Savannakhet in Laos. Lao visas are available and through buses from Savannakhet to Hue and vice versa run daily. Connecting Attapeu in Laos and Kontum in Vietnam, the border at Bo Y is wide open to foreigners, and now provides an interesting, if somewhat challenging, way to enter Vietnam/Laos. There are mini buses connecting in both directions. This is the only Lao border that is currently open to independent travellers. Lao visas on arrival are available. The border is about 42km north of Luang Nam Tha. There is regular transport between the two in the morning, but by early afternoon this fades out. There is accommodation available in Boten should you not cross the border in time for the last bus. The most popular transit route to and from Huay Xai is by public slow boat down the Mekong. Tickets can be bought at the slow boat pier for 110,000 kip to Pakbeng, 220,000 kip to Luang Prabang or in travel agencies and guesthouses around town for between 10,000 and 30,000 kip extra, some including a tuk tuk ride to the boat dock and some not. The slow boat pier is a kilometre upriver from town. Tickets can also be bought in Chiang Khong at an inflated rate from Huay Xai to Luang Prabang. It may, however, include transfers. Locals are understandably upset that the Thais are catching tourists before they arrive. There is absolutely no reason to buy your ticket in advance. You can buy your ticket at the slow boat pier. Despite what you might be told in Thailand, boats will never refuse passengers because they are full and the walk is not difficult. Boats are scheduled to depart at 11:00, but you are advised to arrive half an hour early to reserve a seat. Some arrive at around 10:00 to get the very best seats near the front, but this is a bit of overkill. The journey is gorgeous, but the quality of the boats can differ wildly as local boat drivers use their own boats and take it in turns to do the run. Sometimes 80 or more people and a few motorbikes are packed onto one boat, which can make for a crowded and uncomfortable journey. Make sure you bring a baguette sandwich or two as there is usually nothing substantial to purchase. Drinks are generally available on board and you'll often see groups of locals and tourists alike sinking beers and sharing snacks to pass the time away. It is also possible to travel down the Mekong to Pak Beng and Luang Prabang by rocket boat, the extremely noisy speedboats. Each leg, from Huay Xai to Pak Beng and Pak Beng to Luang Prabang, takes 2.5 to 3.5 hours. The noise can be intolerable and travellers have reported temporary hearing loss, as well as a number of other catastrophes due to boat troubles and inexperienced drivers. It is advisable to wear the supplied life jacket and helmet both for safety and to cut down noise and exposure to the elements. Wear long sleeves and long pants so you don't get sunburnt. (December to June) is definitely riskiest as water levels are low and rocks exposed. Tickets can be booked at any travel agency and most guesthouses in Huay Xai, or at the dock itself 3.5 kilometres downriver from town. Speedboats will leave when they are full, which means six foreigners or eight Lao. If there are not enough passengers, you will need to pay for the entire boat. Your best bet is to head to the speedboat dock early, buy a ticket and just wait. It seems that once someone buys a ticket, phone calls are made and drivers can often manage to rustle up a few other passengers. There are many options for travelling to North and Southern Laos. MiniVans, Local Sitting bus, VIP sitting bus, and VIP Overnight Sleeping bus. Depending on your destination, all options can be considered. Between Luang Prabang and Vang Vieng is one of the most beautiful journeys as you wind though the mountain passes you are blessed with stunning Laos Scenery that should not be missed during the day time. Overnight sleeping bus can be an experience with 2pax to a bed, or the new Coffin bed service!. All options are of varying quality and comfort, it is advisable to visit the local bus stations or speak with one of the many agencies about the quality of service, times and routes. The Lao adore children and in many instances will shower attention on your offspring, who will readily find playmates among their Lao peers and a temporary nanny service at practically every stop. Like many places in Southeast Asia, travelling with children in Laos can be a lot of fun as long as you come prepared with the right attitude. Baby formula and nappies (diapers) are available at mini markets in most towns and cities, but bring along a Sufficient supply to rural areas. For the most part parents needn't worry too much about health concerns, although it pays to lay down a few ground rules – such as regular hand-washing or using hand-cleansing gel – to head off potential medical problems. All the usual health precautions apply.